It's becoming increasingly common: middle-class men and women are taking up side-jobs and freelance assignments in order to bring in extra cash. The so-called "gig economy" is growing, and fast. And it's easy to see why, as it allows individuals to work on their own time, at their own schedule, to earn extra money. However, while the extra money is certainly good, it can lead to a packed schedule that makes it difficult to maintain a healthy work-life balance. Here are ways that you can balance your side gig with your full-time job. Yes, it is possible to have your cake and eat it too! Side Gigs: Abundant and Available! 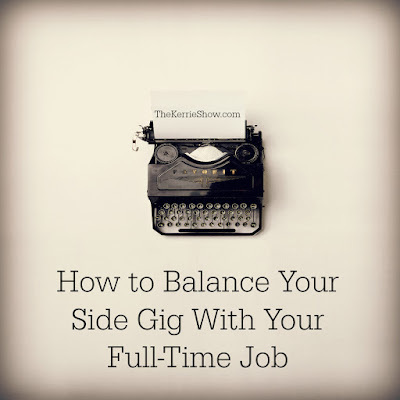 Before we discuss how to balance your side gig with your full-time job, you may be wondering what jobs are available to you and how to get them. Many people have an interest in taking up extra work on the side but don't know where to start. The options are actually quite diverse. Ride sharing apps like Uber and Lyft are two of the easiest ways to get started; simply download the app on your smartphone, create an account, and get started. Anyone with a car that is properly maintained and relatively new can start earning money today. 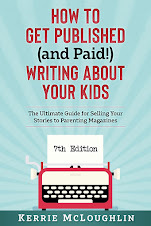 There is also the lucrative (yet highly competitive) field of online freelancing. Thankfully, sites like Fiverr and Freelancer allow individuals who possess the talent but lack the network to have a fighting chance at landing gigs. Of course, there is also entrepreneurship. If you have dreamed of starting your own business but fear the risks, consider running your business on the side while you develop and grow your clientele. Some entrepreneurship options, such as Amway, allow you to leverage a vast support network while selling products with a proven track record. Other options, like Etsy, are perfect for individuals who craft their own wares, like jewelers or artists. There's no getting around this. Taking on a side gig will likely mean sacrificing a night out with friends, a fancy meal with a loved one, or an opening night show at the cinema. You must be prepared to work hard. You will be busy! Part of working hard means giving yourself extra time in the day to do the things that used to be routine. This may include doing the dishes or washing the laundry. 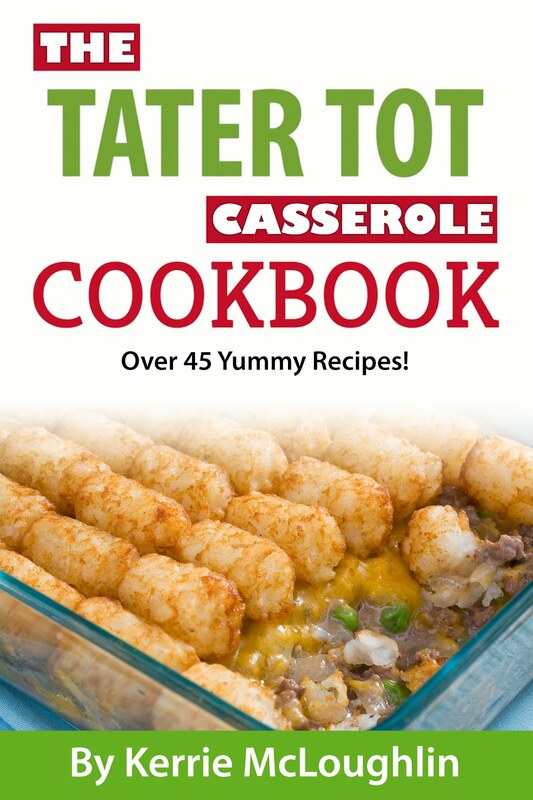 Or perhaps it's fixing lunch for your school-aged children before they wake up. Set that alarm clock an hour earlier. If you work in a professional field and are proficient in a specific skill, the odds are good that someone is seeking the very skill that you have, and are willing to pay for it. As the gig economy becomes more pervasive and commonplace, more and more companies are becoming comfortable with freelancers. Start leveraging your expertise. Taking on freelance work means having to meet deadlines, satisfy job requirements, and schedule your own work time. There will be no regimented 9-5, Monday-Friday schedule to coddle you along. You will be responsible for everything. So do yourself a favor and get organized! It will make everything easier. Look into getting an app like Wunderlist to keep tasks and deadlines organized right on your phone. If you work too hard, you run the risk of burning yourself out. And if that happens, you can't help your employer or yourself. Remember to give yourself free time. As a freelancer, it's important to take a break every once in awhile for peace of mind. Most companies allow their employees to work independently outside of the office, so long as it doesn't result in conflicts of interest or affect your work in the office. If you decide to sell Amway or drive for Uber, be upfront with your boss so that expectations are clear. Considering a Side Job? Go For It! It may be challenging at first, but maintaining a full-time job while freelancing or starting a business on the side is possible. And if you stick with it and dedicate yourself to achieving your goals, you will likely find that the rewards more than justify the means. 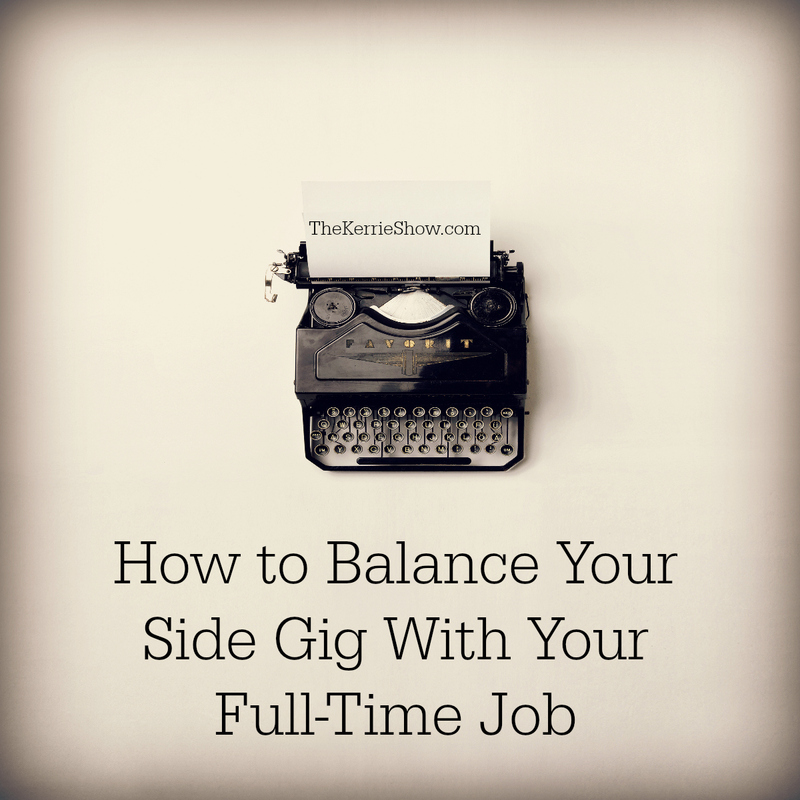 Follow the tips outlined above and you can maintain a healthy balance between your full-time work and your side gig. And who knows: perhaps it might even enable you to ditch your full-time job altogether!